Shoot the chocolate candy balls in the biggest candy factory. 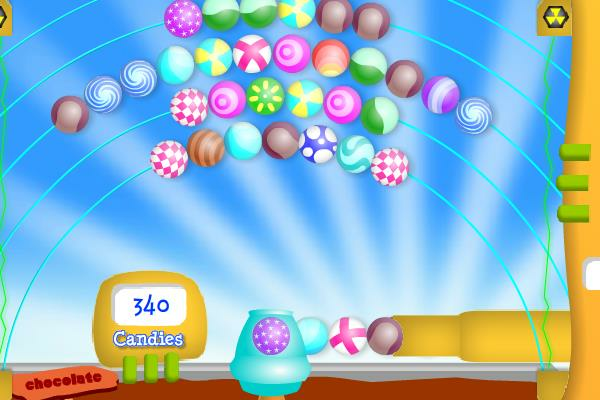 Shoot the chocolate dipped candy balls into lines of three or more candies of the same color. You can play in Training Camp mode, Empolyee of The Month mode or the I´m The Manager mode.